The time has come to call the duck a duck. It’s time to agree with a long list of Israeli political leaders, academics and public figures on both the political left and right, including three former prime ministers, a winner of the Israel prize, two former heads of the Israeli internal security service Shin Bet, and one of the country’s principal newspapers, all of whom have warned that the Jewish state is becoming, or already is, an apartheid state. I would choose the latter characterization. It’s interesting that within the Israeli discourse, the assertion seems to have become routine, while it remains radioactive in the West, where energetic pro-Israel activists scrutinize the media, the academy and the polity, ready to declare anti-Semitism or incitement at any use of the word. Look at the outrage and venom poured upon former President Jimmy Carter, under whose brokerage the peace accord between Israel and Egypt was signed, when he titled a 2006 book Palestine: Peace not Apartheid. Suddenly, Carter was transformed from a Nobel Peace Prize laureate and statesman to a dotty old man under the sway of terrorists, at least in the eyes of Israel’s supporters, including a significant fraction of his own cohort, Evangelical American Christians. This past June, former Israeli prime minister Ehud Barak re-stated a position he’s held for years: “If we keep controlling the whole area from the Mediterranean to the river Jordan where some 13 million people are living — eight million Israelis, five million Palestinians … if only one entity reigned over this whole area, named Israel, it would become inevitably — that’s the key word, inevitably – either non-Jewish or non-democratic.” The country is, he repeated, “on a slippery slope” that ends in apartheid. The dividing line between prominent Israelis who use the term in the here and now, rather than as a warning of what’s coming, seems to be the continued existence of the “peace process,” with its promise of a Palestinian state, and self-governance. And when I was posted in Jerusalem for CBC News, back in the late ’90s, that actually did seem like a possibility, if an unlikely one. Since then, the peace process — always half-hearted — has utterly collapsed. Expansion of Jewish settlements in the West Bank continued, and since the election of Donald Trump, colonization has surged with an invigorated enthusiasm. Their existence is in fact currently being celebrated in a series of appearances by Israeli Prime Minister Benjamin Netanyahu. “We are here to stay, forever,” he declared two months ago in the settlement of Barkan, commemorating the 50th anniversary of Israel’s occupation of the West Bank. “There will be no more uprooting of settlements in the land of Israel.” (The “Land of Israel,” as opposed to the State of Israel, is a term used by the Israeli right to describe all the territory between the Jordan and the Mediterranean, and sometimes even further). Liberman’s logic seems to be that as long as the Palestinians are simply occupied and governed by a different set of laws, with far fewer rights than Israelis (as opposed to denying them a state but giving them a vote in some expanded version of Israel, which the Israeli right considers national suicide), then it is not really apartheid. But annexation at this point would merely amount to staging a home already sold. In the past decade, Ze’ev Jabotinsky’s “Iron Wall” doctrine has given rise to an actual wall, sometimes an iron one, running roughly along the 1967 borders of the West Bank and Gaza. 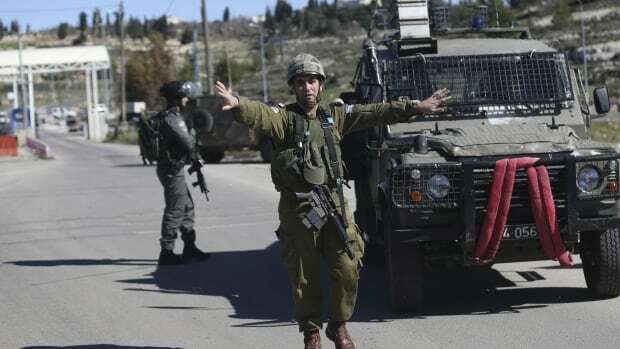 The main roads from Jerusalem north to Ramallah and Nablus and south to Bethlehem and Hebron are now blocked by gigantic, fortified military barriers. The roughly three quarters of a million Jewish settlers in the West Bank and East Jerusalem have complete freedom of movement and their own set of roads, effectively forbidden to the disenfranchised Palestinian underclass. Settlers suspected of crimes are entitled to full rights in Israeli courts; Palestinians endure military tribunals, indefinite imprisonment without charge (“administrative detention”) and collective punishment. Settlers are entitled to carry arms and use them in self-defence; Palestinians are not. Settlers have property rights. Palestinians have property claims. Et cetera. Netanyahu frames it all as a matter of national survival, warning that any land conceded will immediately be occupied by fundamentalist terrorists determined to destroy the State of Israel, with its nuclear weapons, tanks, fighter jets, layered missile defence systems and 600,000-plus active and reserve troops. His definition of terrorism is a nuanced one; at an event a few years ago commemorating the 60th anniversary of the bombing of the King David Hotel by Irgun fighters, considered a terrorist act by the British government to this day, Netanyahu characterized the perpetrators as legitimate military fighters, and warned the outraged British government to watch its language. But then, an elastic worldview is apparently necessary to maintain the status quo; when Mahmoud Abbas’s Fatah party signed a formal reconciliation recently with the “terrorists” of Hamas, who rule Gaza, both Israel and the United States objected, saying such a union endangers, yes, the peace process. The fact that today’s terrorists tend to become tomorrow’s statesmen (the Irgun bombers later joined the nascent government of Israel, and former Irgun chief Menachem Begin became prime minister) is apparently irrelevant in this context. At any rate, Ehud Barak’s slippery slope is now in the rearview mirror. Yossi Sarid’s duck has arrived. Let’s accept that, drop the pretense, and move on.